- Wide Dynamic Range and ABS (Adaptive Black Stretch) technologies deliver wider dynamic range compared with conventional cameras. - VIQS (Variable Image Quality on Specified area) technology allows the designated eight areas to retain higher image quality while the excluded area will have a decreased image quality, which enables to use lower image file size and bit rate. - Digital Noise Reduction: 3D-MNR (Multi process Noise Reduction) ensures noise reduction in various conditions and achieves a low bit rate under low illumination. - FDF (Frequency Divided Filter): Removing fine noise generated under low illumination to achieve a low bit rate. - Internet mode: H.264 images can be transmitted over HTTP protocol. 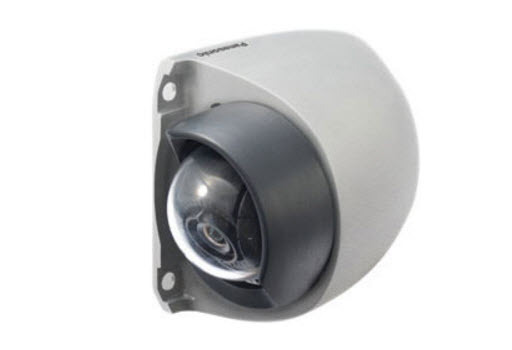 - The camera conforms to the IP66, Type 4X (UL50) and IP6K9K, is compliant with NEMA 4X ratings, and provides high dust resistance and waterproof performance. - Adoption of a scratch resistant dome cover with a compact and sleek design is optimal for cameras installed on the outside of a vehicle.